A quick post to set the record straight. 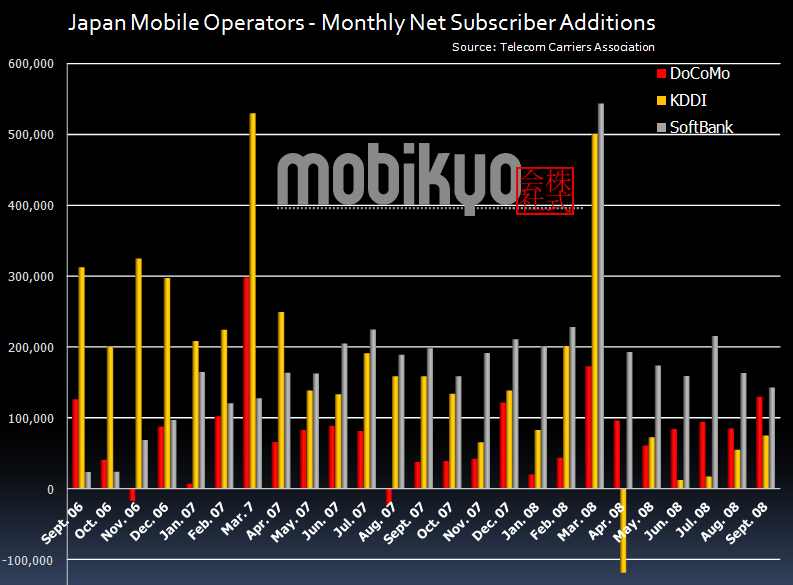 All too many times we have heard the urban legend that goes something along the lines that SoftBank brought the iPhone to Japan and that move directly translated into winning the so-called monthly net addition subscriber wars. However, the actual results - using official numbers from the TCA - paints a rather different picture.